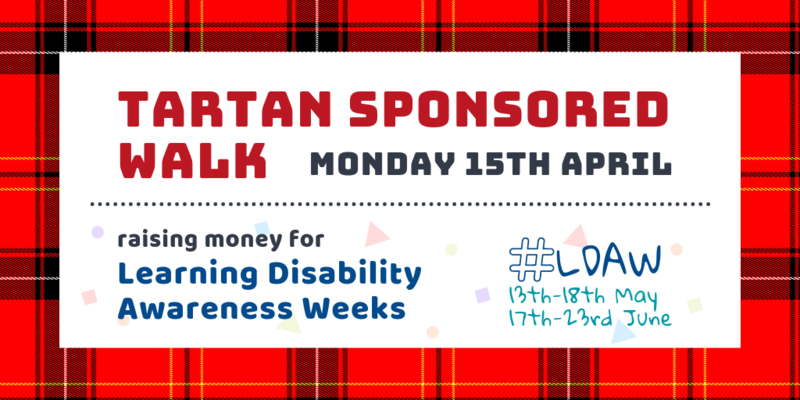 Join the Tartan Sponsored Walk and help raise money for this year’s Learning Disability Awareness Weeks. Make sure to arrive in plent of time as the walk starts 11am at the Howard Park in Kilmarnock. Contact maureen.preston@east-ayrshire.gov.uk for more information and how to take part.